Abstract: In Airwheel, there are three principles of management and production: innovation, eco-friendliness and user-friendliness. Their electric scooters largely fall into three categories: the single-wheeled X-series, the twin-wheeled Q-series and the intelligent self-balancing S-series. 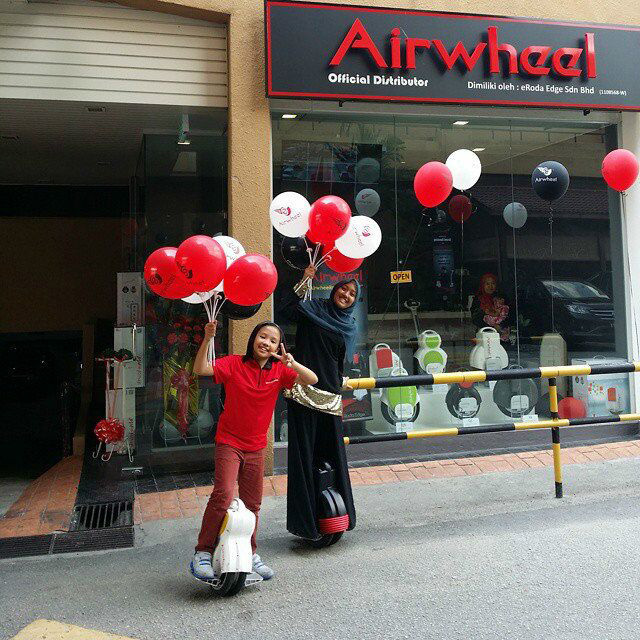 Through three years’ unswerving efforts, Airwheel achieves a great success and gains a huge honour. Airwheel, as a scooter-maker, has grown to be an outstanding company at home and abroad. In Airwheel, there are three principles of management and production: innovation, eco-friendliness and user-friendliness. It has pumped out an array of models of electric self-balancing scooters, which are catching on in the market. Their electric scooters largely fall into three categories: the single-wheeled X-series, the twin-wheeled Q-series and the intelligent self-balancing S-series. The single-wheeled X-series excels on its dexterity. The twin-wheeled scooter of Q-series is famous for its twin-wheeled structure design. S-series, marking a milestone of scooter innovation, takes pride in its minimalist-chic design and state-of-the-art technology. Therefore, it undoubtedly gains gigantic popularity among Airwheel scooters. 2013 was a key year to Airwheel, because it was in the year that Airwheel put its own design idea into practice for the first time, i.e. X3. 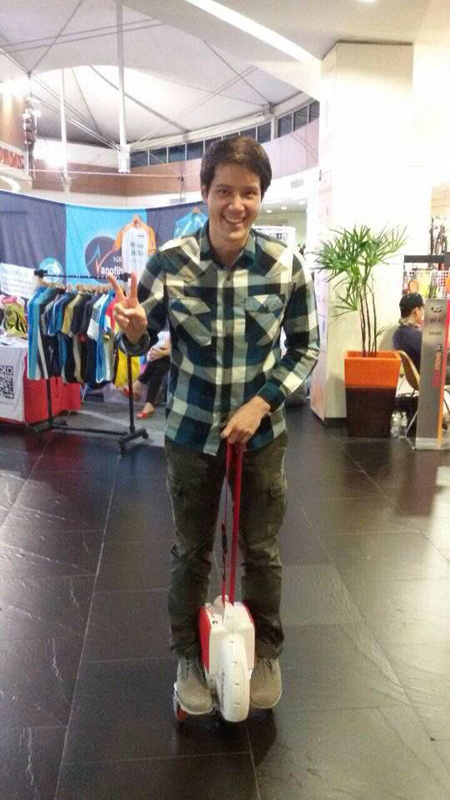 With this good opportunity, Airwheel brings out other models of X-series, e.g. X5 and X8. Although years passing, the obsession of scooter enthusiasts for X-series doesn’t fade. Although the structure of single wheel might scare away some tyros, its agility takes some beating in all lines of Airwheel. Almost all experienced users are passionate on the X-series to display their distinguished riding skills. They are eager to show off their fancy tricks, such as turning circles, sitting on it while rolling, standing upside down. They even could push a car while standing on it. And the pedestrians in the street are their audience. That is to say, the single-wheeled structure is designed better for their fantastic skills. That is to say, X-series is intended for pro riders and Q-series for tyros. In the wake of X-series, the twin-wheeled scooter Q-series was issued. Q-series partially shares the same exterior design with X-series. Notwithstanding, Q-series owns its characteristic twin-wheeled structure. It is a great stride to transform from the single wheeler into the twin wheeler. Thanks to its design, the latter one enjoys excellent balance and seems easier to use. Hence, it’s no wonder that Q-series turns to be the darling of tyros. S3 is the termination of self-balance scooter. In the trade fairs, the outstanding appearance of streamlined exterior always makes it become the superstar. Meanwhile, its eco-friendly future helps people use it wide.